Enhancing performance through understanding, engagement, and development. Our comprehensive range of services provide organisations with employee engagement surveys; a platform for anonymous dialogue, facilitating whistleblowing and candid engagement; online appraisals; pulse surveys, and hiring solutions. It's estimated that only 35% of the UK workforce is fully engaged, costing UK businesses £20bn - £60bn per year. What is poor engagement costing your organisation? Find out with our quick and easy engagement calculator. 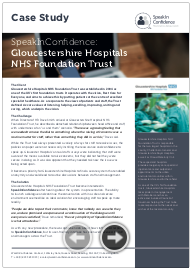 In order to support new Guardians and NHS Trusts, WorkInConfidence has put together a file of resources that you can amend to help you promote your service. Download now and amend in Microsoft Word. Ensure that any member of your staff can easily and anonymously discuss concerns, problems or ideas with senior management. 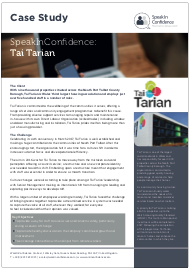 Download to learn more about how SpeakInConfidence can help your organisation. The 2018 NHS Survey found that only 34% of staff reported good communications between senior management and staff and that 25% of staff experienced harassment or bullying. How does your Trust compare? Feedback from staff about the whistleblowing process showed staff members were seeking anonymity when raising concerns. 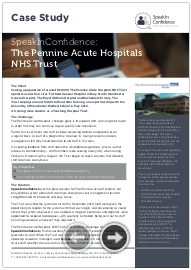 Read how the Trust honoured this with SpeakInConfidence. 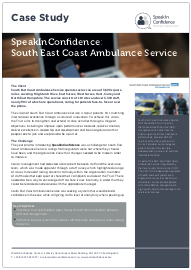 The year prior to introducing SpeakInConfidence was a challenge for South East Coast Ambulance Service and the organisation knew that changes needed to be made in order to improve. 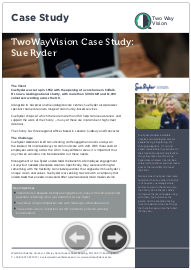 Read how a TwoWayVision survey received the charity's highest participation rate yet and has made it possible for management to pinpoint the ways to create better working environments for staff. 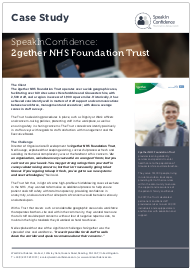 With a Trust that covers such a considerable geographic area and a workforce that operates both on-site and within the community, 2gether wanted to ensure that all staff could report concerns. Employment references are suffering largely because of a misunderstanding about the legal implications of giving them rather than of being candid. In this ebook read about the importance of references and the legal position. Creating an environment in your organisation where people feel that they can speak up, whether that is with issue and concerns, or with ideas, is essential. 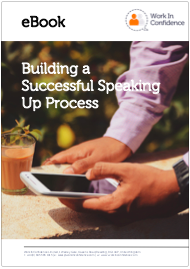 This eBook explores how you can achieve that. Get new recruits started right and they will contribute to your organisation. 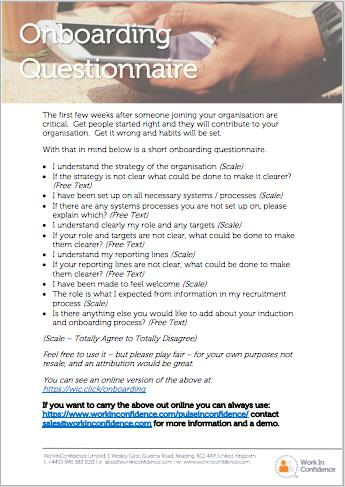 Download this questionnaire to make sure your onboarding process has covered everything to make this happen. ategi chose WorkInConfidence's TwoWayVision because it automated the distribution, collation, and interpretation of data in a single process while saving a significant number of work-hours and associated costs. Do you know how many of your staff may be affected by bullying, harassment, discrimination and inability to speak up? To find out what this could be costing your business, download and enter a few key values about your organisation. Bullying in organisations is endemic, frequently overlooked or unreported and thoroughly toxic. It creates stress, affects motivation and mental wellbeing, destroys lives (literally) and erodes business. Create a zero tolerance culture now. Downloadable guide detailing the steps you should take if you are on the receiving end of workplace bullying behaviour. Workplace bullying and harassment - how much is it costing your organisation? Asking the right questions can help you improve employee engagement and involvement. Gain real insight into what your critical drivers of engagement are. Download this infographic to compare 2017/2018 results from the NHS Staff Survey on key measures across bullying, harassment, abuse, discrimination and speaking up. How diverse are our workplaces really? How well are UK businesses scoring in gender diversity, ageing UK population, sexual discrimination and ethnic diversity. Download this infographic to find out. Guide with advice on what needs to be included under these provisions for Companies with more than 250 UK employees as part of the directors report. On this page we have collected together a series of resources to help both new and established Freedom to Speak Up Guardians help staff in their Trusts to speak up. 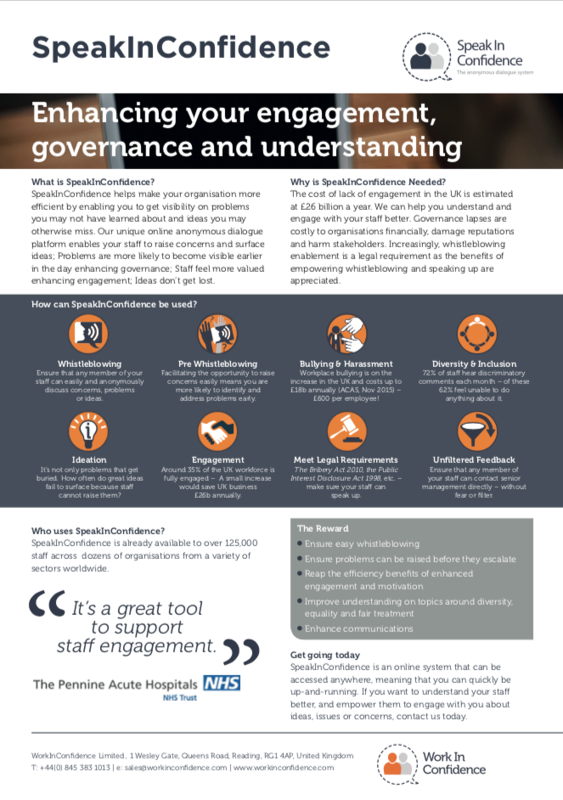 Understand the importance of engaging your workforce but worried the cost in time and money will outweigh the reward? Download this free eBook today and find out the most time and cost effective ways to engage your staff.